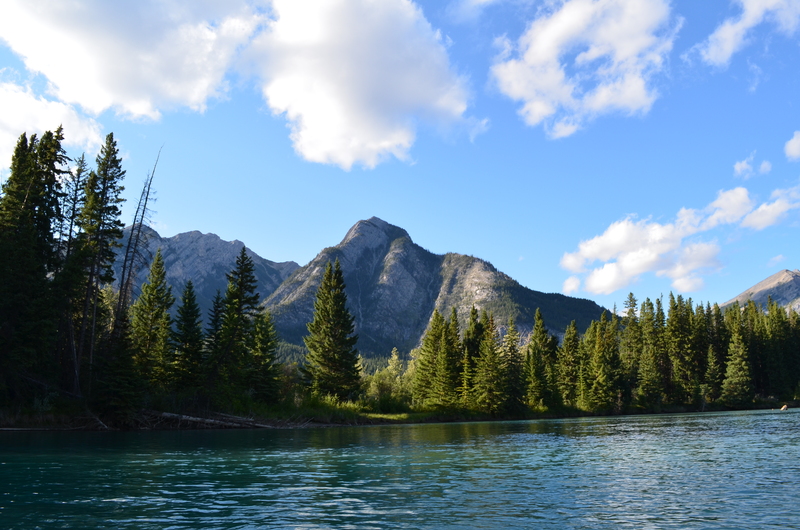 The Bow River in Banff is great for canoeing or kayaking on. 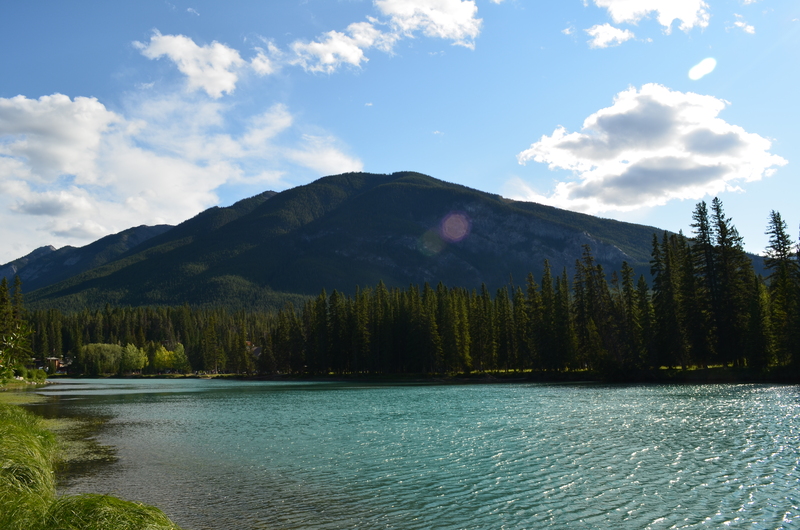 It is only a short walk from downtown Banff to the canoe dock where you’ll be able to hire boats from the canoe docks. 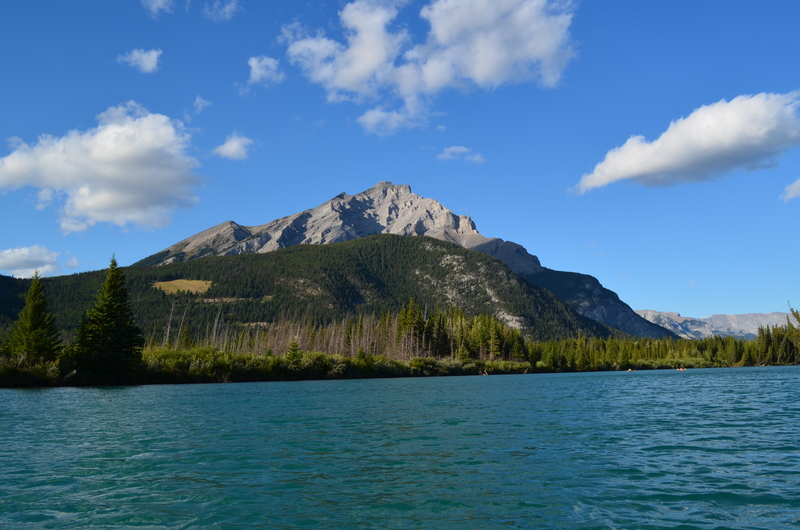 I hired a kayak from there a couple of years ago and spent the afternoon on the Bow River. 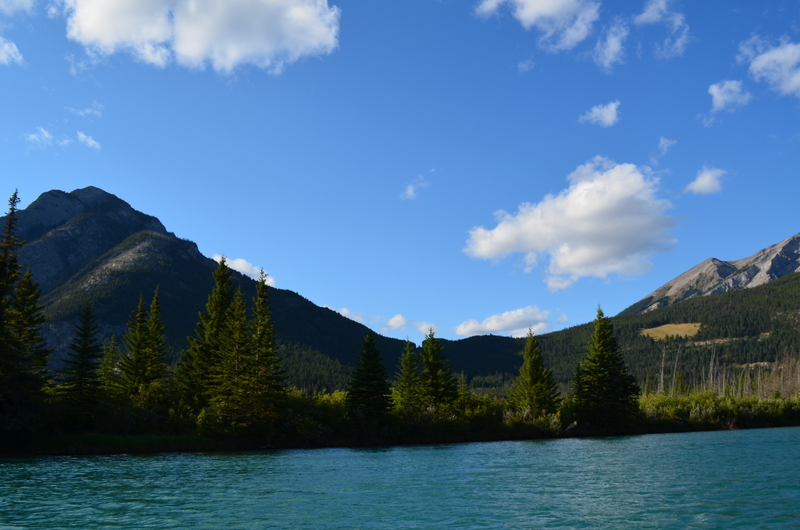 You can paddle upstream towards the Vermilion Lakes, if you went downstream towards the Banff Avenue Bridge you might regret is slightly…as you’d be heading towards Bow Falls! 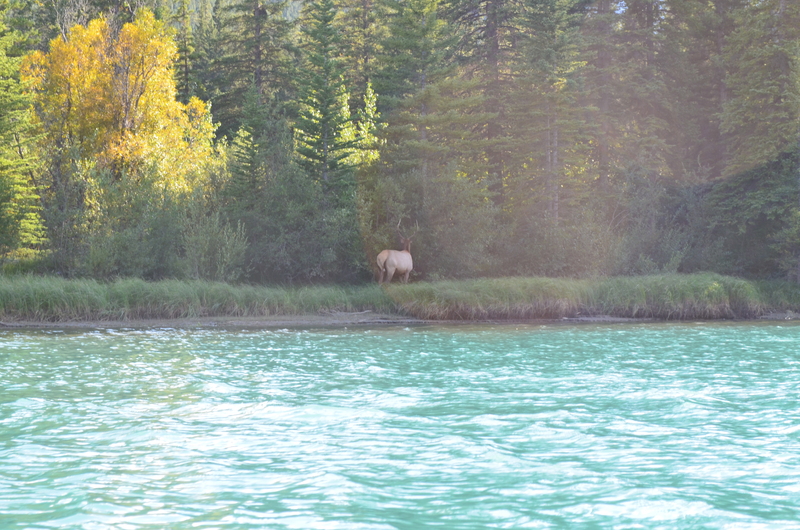 Not the best photo of a elk I’ve taken! 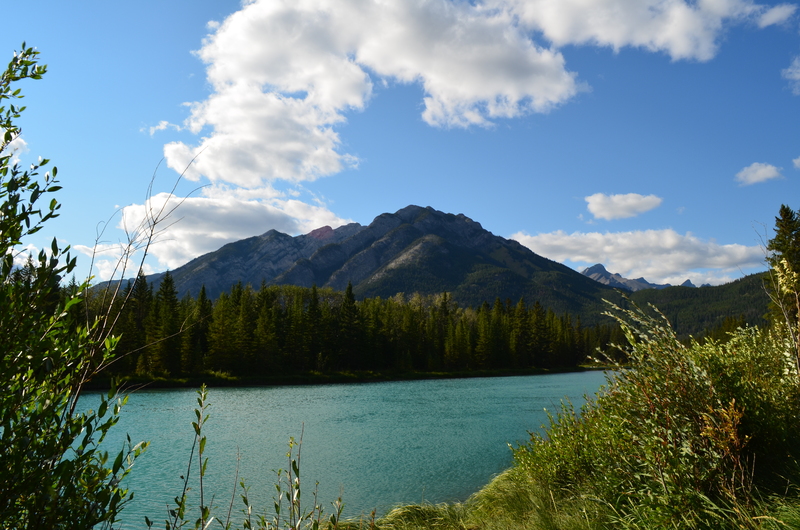 It’s a good way to take in the views and there’s potential to see some wildlife. 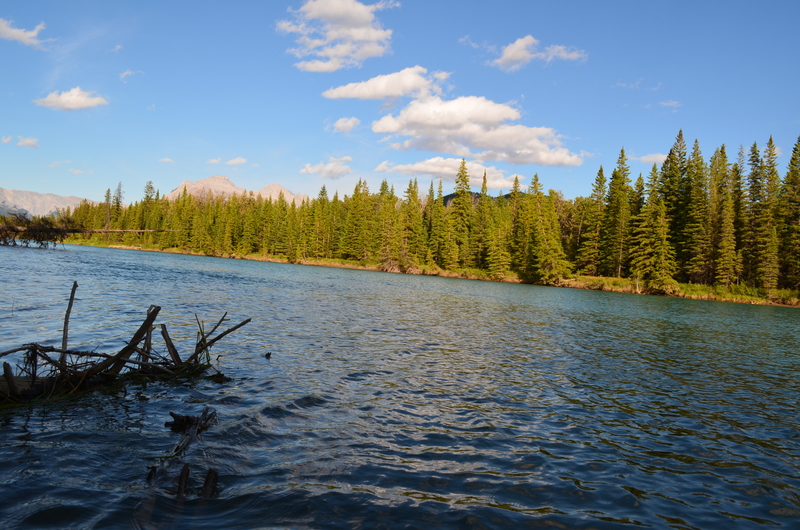 I saw a couple of elk and there were lots of waterfowl to be seen. Unfortunately my photographs of the elk aren’t the best. It was quite windy so my kayak was wobbling about a fair bit and I was a little worried about loosing my camera to the river! There were quite a few submerged logs and tree limbs towards the banks so it’s good to keep an eye out just in case of catching your boat on one. If you’re looking for a good alternative to a hike, and an activity that is close to town to do, it is a great way to spend the afternoon. Absolutely stunning photos. I’m definitely planning on kayaking there someday. Maybe not the best picture of an elk ever, but amusing (or perhaps it’s just me who is always amused by animal rear ends…). I have this same issue with wild moose – I think I have maybe one or two pictures of a part of a moose that isn’t its rear end. 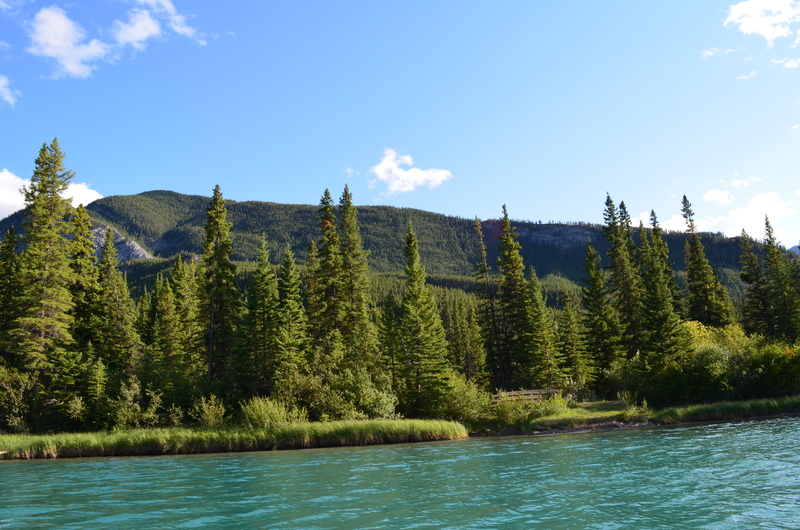 We have been thinking about kayaking or canoeing around Banff for a while, now I want to do it even more:) Have you tried kayaking down the Bow from Lake Louise to Banff? I’ve seen kayakers there but wonder if they go with a company? Looks stunning, and what a great weather you had! I’d love to do some kayaking over there, it looks so nice!